Coming into the latest child molestation case to hit college athletics, you would think that the big names would be a little more wary. You would think that a man who, at the very outset of the Bernie Fine scandal breaking cited what happened to ex-Penn State head football coach Joe Paterno, would also be able to learn from the man’s mistakes. 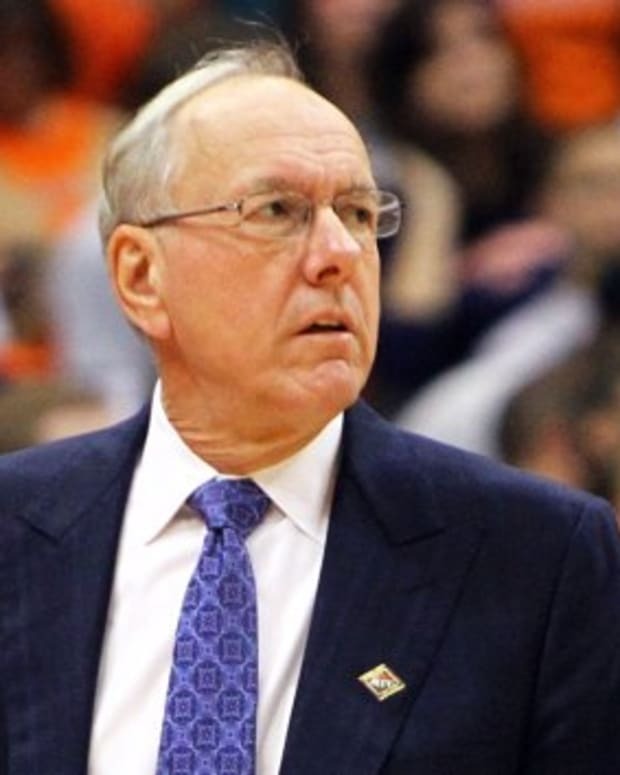 Apparently, thinking Syracuse head coach Jim Boeheim would be able to evolve in a post-Jerry Sandusky world was giving him a little too much credit. Boeheim’s right-hand man, Fine, someone who he had known for thirty-plus years is becoming more and more entrenched in a child molestation scandal on a daily basis. The evidence is mounting and as the public becomes more familiar with the circumstances surrounding the situation, scrutiny as it pertains to Boeheim and Syracuse will only get worse. When the accusations against Fine were initially made by Bobby Davis, a former ball boy, Boeheim adamantly stood by his longtime friend. Which is fine, mind you. This was a friend, a neighbor and a co-worker that he had known all his life. Boeheim couldn’t wrap his head around the fact that someone he knew so intimately could be involved in activities like this. Again, perfectly understandable. Instead of merely standing up for his friend, though, the Syracuse head basketball coach went on the offensive. He called the accusers liars in search of a payday. He went after their backgrounds and questioned the validity of their claims in a matter far and beyond what anyone would recommend in a situation as touchy as this. When tapes were released of Fine’s wife seemingly admitting that some of the allegedly inappropriate behavior that her husband was accused of took place, it seemed as though Boeheim finally got it. He released a public apology for his rush to judgment, and he finally seemed to understand that attacking the accusers probably wasn’t the wisest course of action. On Tuesday night, the Syracuse head coach got his first opportunity to address the media following the latest Fine revelations. And how did he behave? Like the same smug, arrogant little man that dismissed charges of improprieties the first time around. Zero contrition. No remorse. It’s as if Boeheim was doubling down on his own naivety at best, ignorance at worst. Many agreed that Boeheim’s mildly out-of-touch reaction to the Fine case initially wasn’t a grounds for firing. We saw a little of ourselves in the Syracuse coach. We imagined what it would be like if someone we knew all of our lives was accused of charges as monstrous as the ones Fine is being accused off. Having a blind spot to that is understandable. And even Boeheim’s inappropriate, offensive remarks in defense of Fine, at the very beginning, were understandable. But this latest flippant attitude towards everything that has transpired is absolutely inexcusable. Boeheim seems to feel invincible. Regardless of how inappropriately he behaves or what stupid things he says, he clearly thinks 863 victories is a get-out-of-jail free card. Time for Syracuse to set this guy straight.